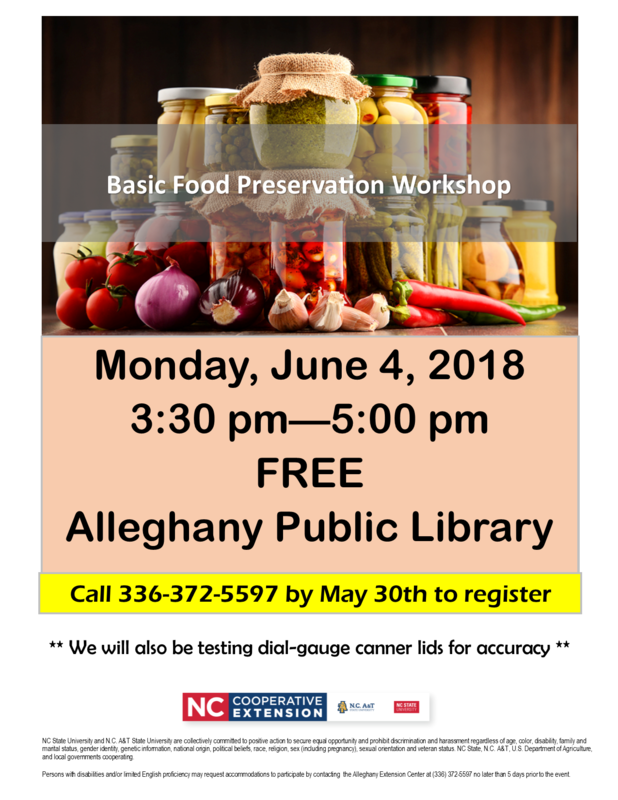 Please join us on June 4, from 3:30 to 5:00 p.m. for a Basic Food Preservation Workshop. The workshop is FREE and open to anyone who would like to attend. Please RSVP by May 30 to 336-372-5597.